Thanks @Truth. I will watch it. I’ll be playing on PS4 until I have to go to work. Got a question for whoever can answer it though. With the news from yesterday, does that mean we can’t have anymore Double XP or increased tape drops? I just wanted to say my thanks and I’m still here also. I remember a time, few years ago when we didn’t have this game. It sucked. Now that we haven’t had a movie in almost 10 years, it’s makes the game that much more special. I can turn on the game and I get a Friday the 13th experience every time I play. It may not be perfect but it’s still better than what we had a few years ago, nothing. 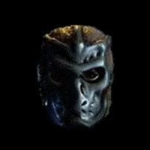 Again I’m grateful for this game, the forum and all of you f13 fans coming in here and expressing your opinions. Even if the game dies, Jason will live on. Not even this lawsuit will keep him down forever. Sad news indead. I stopped posting after the game was freezing on Xbox after getting all the achievements. But I still come in daily and read the topics. Get a few laughs and just like seeing how others are feeling about and reacting to the game. I love this game as I know a lot of you girls and guys do. 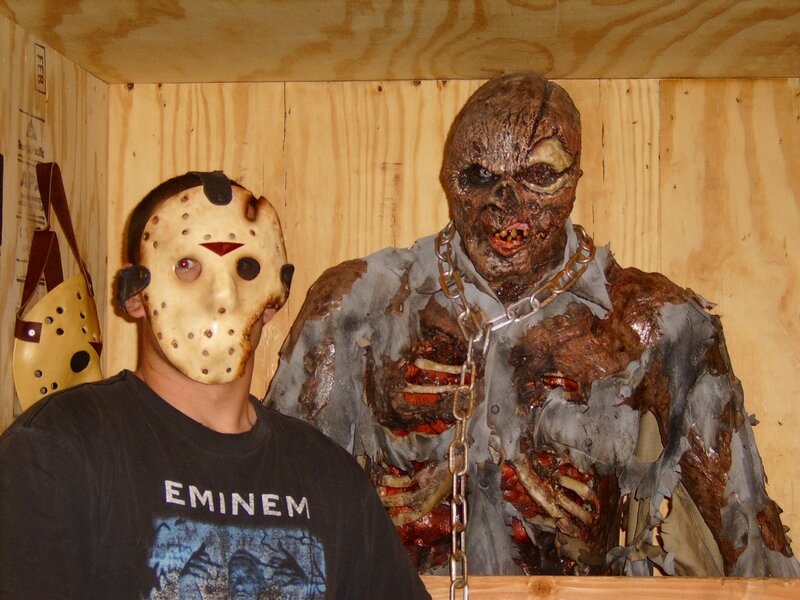 But I also love the franchise and the character Jason. Not saying it’s perfect but I enjoy every movie in some fashion. Either for a certain kill, line of dialogue, stupid dance or even story. I was very much looking forward to Uber Jason but what can we do. I’m not sure what will happen with the game but I will be here to the end. Regardless if that’s next week, month or year. I just wanted to say for what it’s worth, that I personally feel I got my money’s worth out of this game. I will never forget it and I’m thankful to have it and have played it. Also I want to thank the forum and all the members. I have enjoyed reading most of the topics, thank you for the memories. Again it’s been a pleasure and a shame it has to end this way. @Rabid Anteater and @YouWontKillMe you guys and me are the only ones I know of on here posting about this. I hope everything gets fixed soon. I saw someone posted that this issue doesn’t effect PlayStation, so that’s good news. I’m not sure how the thread turned into this but hopefully it doesn’t get locked. I think some of the members are unaware of our issue or are assuming that we are exaggerating it. We all know what we’re dealing with and I’m sure the devolpers do also. I don’t want anyone thinking I’m coming on here bitching or whatever, just trying to make sure we’re not forgot about. I won’t post anymore unless I find out some info. Good luck to you guys and if you’ve played Grand Theft Auto Online, check out the doomsday heist. @T.W I didn’t even say I was referring to you. To anyone reading this, we cannot play the game at ALL. If we try to play a match as Jason or a counselor, it freezes. Not exaggerating. You literally can not complete one match. I cannot stress this enough. The game is fine when you can play it @TiffanyCox but we can’t play at all. I don’t know if you don’t get what I’m saying or understand what I’m saying. I love the game to death, I just want to be able to play. I’m ok with host disconnects and connection time outs. But when you can’t play at all. Frustrating doesn’t quite do it justice. Not sure why everyone is attacking me. But this is exactly what I was talking about. Some of you don’t even know what’s going on or what we are talking about but yet you come in here and tell us to be patient or defend the devolpers. I really hope some of you that act like you like the game so much, never have this happen to you. I’m not going to argue with some kids so I’ll end by saying good luck to everyone affected by this and I hope it gets fixed soon. @TiffanyCox What are you talking about? We are not able to play the game at all. We are not talking about new content. Please read thru the thread before you post. And my attitude is fine. I only get upset when people come in to post about this topic but are unaffected by it. Telling someone to be patient and wait, while you don’t have the issue to deal with is asnine. I’m not mean to anybody on here. Just frustrated that we can’t play a game that we paid for. @T.W we have been patiently waiting since September. I believe this problem is just on Xbox. I’ll know shortly if it’s a PS4 problem also. Who cares if it’s boosted or not. Is that some kind of justification for the game not working? And if all we wanted was to boost this game, we wouldn’t be on here telling them that the game doesn’t work. @Alien_Number_Six unfortunately once you get all the achievements in the game. It just freezes. You can’t play as a counselor or Jason. Just freezes when you try to do anything. Not exaggerating when we say we can’t complete one match. It’s been like this since the September update. Yea I don’t understand it either. I don’t think they really understand how severe this issue is. I’m fortunate that I have more than 1 account but I feel for everyone affected by this. Can’t do anything than stare at the main menu. Try to play a match and it freezes. It’s worthless until it’s fixed and by then, to much damage has been done. We’re just sitting here, Patiently waiting for answers. No need to close the topic. We’re not going away. Bumping may be against the rules but trying to figure out why we can’t play the game we paid for ain’t. I got my PS4 account about to reach 100% for trophies in this game. Is this going to be a problem? When’s the update coming out and will it address this issue? I swore I wouldn’t post about this anymore but who cares. @Unwillingerk is right. Interacting with anything causes the game to freeze as Jason or Counselor. And it has nothing to do with The Final Chapter Achievement. It has to do with having 100% of the achievements. My last one was A PH.D in murder and I also have the freezing issue. I know that message you quoted was over a month old but I really hope their not trying to say that it’s not caused by having all the achievements. We appreciate all you guys hard work. But you also have to look at it from our point. We purchased a game that we can no longer play because we have achieved all the trophies or achievements in the game( assuming this is affecting PlayStation 4 also). So now we have to just sit and stare at the main menu and that’s literally all we can do. I know it’s a priority and your working on it but what about Now? What are we supposed to do while we wait? You don’t feel you owe us anything because as you put it to me, it’s a bug. Well when I buy a product and then can’t use it because of some glitch or malfunction from your end, I think you guys need to do something to make it right. And waiting patiently ain’t going to cut it. This is the last message I will post about this but the way this has been handled and your lack of communication from other things, is what is leading people to spam the forums and constantly message you guys. At least you have acknowledged it but there’s other problems you have acknowledged that are still present since launch. Again we patiently wait.